John’s research focuses on developing breakthrough therapies, devices and technology to repair, replace, augment and in the future regenerate diseased, infected and damaged tissues in humans and other mammals using material interventions. Understanding the generic science to deliver interventional medical therapies requiring the use of a material (living cells are also considered to be a material). These will come from an in depth generic first principles approach to understanding and directing the patient’s cellular and molecular mechanisms and responses related to the clinical outcome and efficacy of medical devices, biocompatibility, inflammation and stem cell biology. Tissue engineering processes are developed and applied, addressing the key areas of patient treatments requiring intervention and material implantation; the materials of choice being researched today also include cells and within that, expertise and intellectual property has been created relating to primary cell sourcing, controlling cell function and phenotype through defining and controlling extracellular matrix interactions, angiogenesis, inflammation and tissue regeneration. From a strong long lived generic research platform, specific applications and knowledge has been applied to and continue to be developed for musculoskeletal tissues specifically cartilage and bone, visceral and vascular tissues. Professor Hunt’s research has been funded by the European Commission, BBSRC, MRC and EPSRC as well as by Industry. Ph.D in 1992 and D.Sc. in 2006. 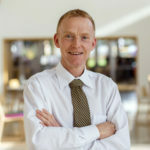 He is a full time Professor and research Theme Leader at Nottingham Trent University, leading the theme Medical Technologies and Advanced Materials. He is a Fellow of the Royal Society of Chemistry and the Vice Chairperson of the committee for the specialist interest group Analytical Biosciences. He is an honorary clinical academic consultant at the Liverpool Heart and Chest NHS trust hospital and an honorary academic at University of Liverpool. He is on the International editorial board member for the journal Biomaterials and the Biomaterials and Nanotechnology section editor in the International journal of Artificial Organs.